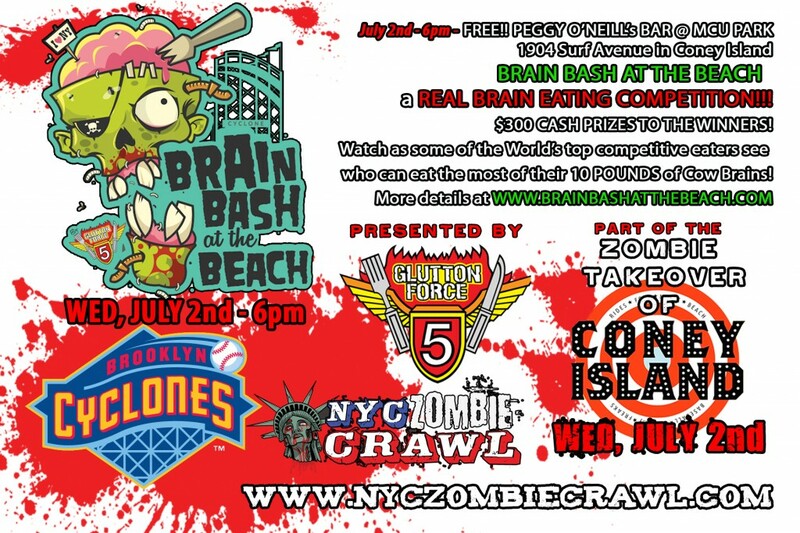 July 2nd – Zombie Takeover of Coney Island with the Brooklyn Cyclones and more! 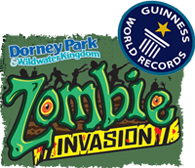 Wednesday, July 2nd – Zombie Takeover of Coney Island with the Brooklyn Cyclones, Luna Park and Coney Island Sideshow by the Seashore! UPDATES: Molly Schyuler, the winner of Philly’s Wing Bowl 22 (at 363 wings) will be competing amongst some of the world’s top competitive eaters and we’re still looking for a few contestants – ENTER NOW AT www.brainbashatthebeach.com! The pre-reception at the Sideshow by the Seashore at 3pm and the Brain Bash at 6pm is FREE!! If you bought your discounted ticket packages online, you can pick up your tickets for Luna Park and the Cyclone Rollercoaster at the Box Office at MCU Park (Surf Avenue and W 17th St) Buy advance tickets here for the discounts by entering the exclusive code LUNAZOMBIE ! $16 and $24 ticket options for a ticket to the game as well as a 2 hour pass to Luna Park or the Coaster! 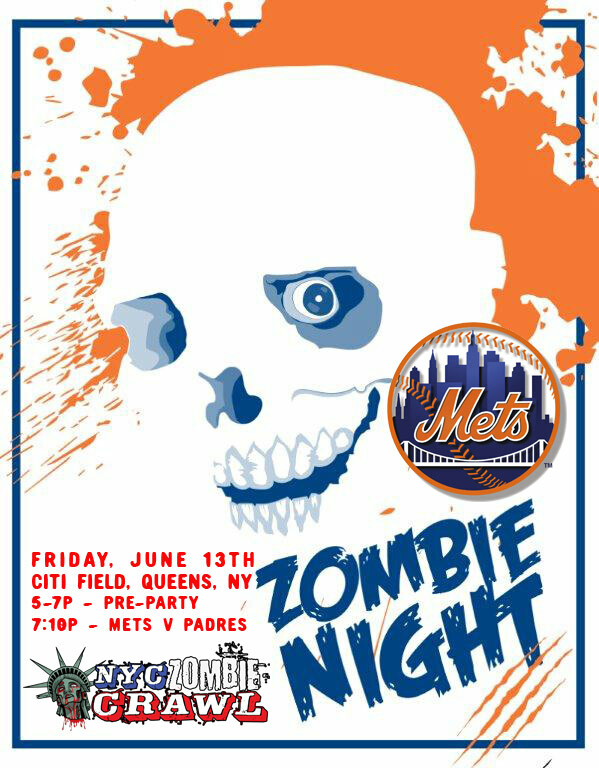 If you don’t want to go to the amusement parks but want to go to the Brooklyn Cyclones game you can be a part of Zombie Night for $10 at the door of MCU Field! And you get a free Brooklyn Cyclones hat!! At 6pm at our BRAIN BASH AT THE BEACH we’re awarding $200 Cash to 1st Place, $75 cash to 2nd place and $25 cash to 3rd place, presented by Peggy O’Neills at MCU Park! It’s a HUGE, REAL BRAIN EATING CONTEST!! At 6pm at Peggy O’Neill’s at the Cyclones Field before the game,we’re hosting the BRAIN BASH AT THE BEACH with some of the World’s top competitive eaters including Tim ‘Gravy’ Brown and Patrick ‘Deep Dish’ Bertoletti! Presented by Glutton Force 5! Competitors will compete by eating 10 POUNDS of brains, and the whoever eats the most wins a Cash prize and tons of other goodies!! We’re awarding $200 Cash to 1st Place, $75 cash to 2nd place and $25 cash to 3rd place, presented by Peggy O’Neills at MCU Park! 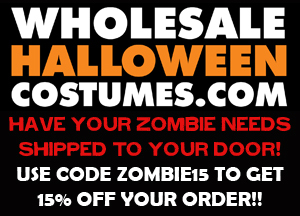 YOU CAN SIGN UP AND GET THE DETAILS ON THE OFFICIAL SITE HERE! 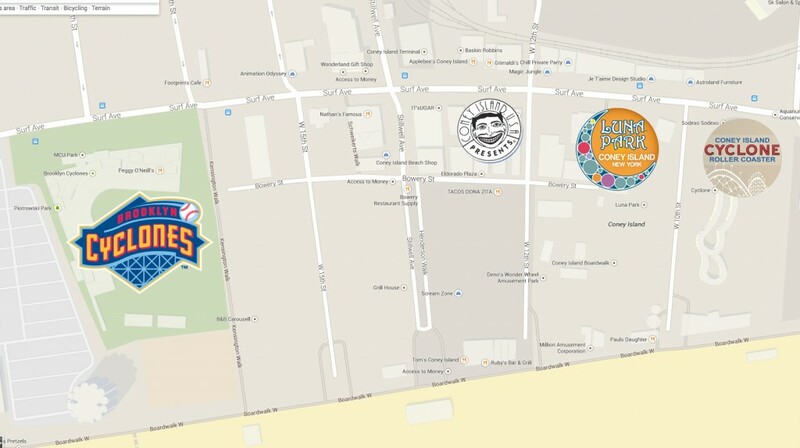 All the events are in a 5 block radius of each other on Surf Avenue in Coney Island! 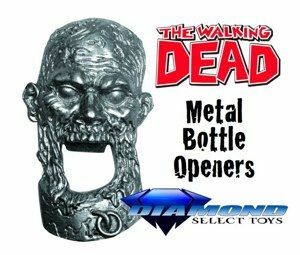 Zombies meet up, drink specials at the Freak Bar with Zombie makeup artists and $2 Pabst Blue Ribbon and Zombie Blood Sangria!! A REAL brain eating contest with some of the World’s top competitive eaters! 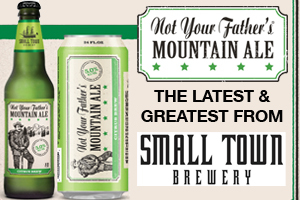 Presented by Glutton Force 5 and Peggy O’Neills! 7p –Cyclones Baseball Game at MCU Park – Zombie Ringleader Doug Sakmann throws out the first pitch as the Brooklyn Cyclones face off against the Hudson Valley Renegades! Zombies take over the stadium with a special seating section and a zombie crawl on the field after the game, Zombies will crawl around the bases led by the winner of the Brain Bash At The Beach!! Check out the cool video for the Cyclones event here! 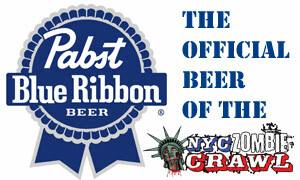 Also, check out the action from our 8th annual Springtime Crawl through Brooklyn below!